If you own a car older than twenty years, you may have a carburetor as its induction system. Every new car today has a sophisticated computer controlled fuel injection system instead of a carburetor. This may not seem like a big deal, but to classic car owners who have encountered carburetor issues, it’s not easy to find someone to fix carburetor problems. The reason is not that a carburetor is a rotten induction system or so complex you have to search high and low for an expert to fix the problem. Instead the problem is that many mechanics and owners just haven’t had exposure or lots of hands on experience with the inner workings of a carburetor. For instance you can find a good auto mechanic who is 40 years old and has been working in the field for 20 years – now that’s a lot of experience. This mechanic has seen many different issues and problems over the years, including lots of issues with fuel injection. It’s this day-to-day exposure working with these types of problems that really make a mechanic good at his job. However this mechanic on the average will have so little experience working with carburetors that he may not be able to diagnose carburetor problems properly. And even if you happen to find a mechanic who is a master of rebuilding, adjusting, and troubleshooting carburetors; more than likely this mechanic was working in the 1960s and 1970s when just about every car used a carburetor. These mechanics are either pushing or over 60 years of age and once they retire from the profession their wide berth of knowledge retires with them. As more of these carburetor era mechanics in the coming years retire, the harder it’s going to be to find someone knowledgeable to work on your carburetor. For any carburetor equipped classic car owner this is indeed a scary thought. And no other engine part has as an important role in how well an engine runs than a carburetor. No matter how well tuned and in good operating order all the other parts in an engine bay may be, if the carburetor is not functioning properly your car will run very badly. The most common of these issues are rough idle, bogging during acceleration, noticeable hesitation, backfiring, and (the symptom most classic car owners love to hate) stalling. And in very rare cases a malfunctioning carburetor can lead to an engine fire. Many classic car owners after encountering these problems and repeated unsuccessful visits to a mechanic who was unable to remedy these problems, have sold their cars in haste. In many of these cases replacing a small part such as an accelerator pump or even a basic carburetor rebuild was all that was needed to remedy the problem. In most cases no more than a few hundred dollars needs to be spent to cure even the worst of carburetor maladies. The good news is you don’t have to fall victim to carburetor problems being an obstacle to enjoying the classic car hobby. There are still good mechanics out there with lots of experience with carburetors. However you are going to have to track them down. The easiest method is to go to a few different auto repair shops in your area, and talk to the service manager and ask him who’s the best carburetor mechanic at that shop. Most service reps will allow you to talk to this mechanic. You can at this time ask questions and relay your carb issues to this mechanic. From this dialog you can get a good sense of whether or not a mechanic is knowledgeable in carbs. Be sure to ask how long has he been working on carbs and what types he’s familiar with. I have found in these types of dialogue situations most mechanics will be honest with you, if they don’t have the knowledge or the experience they will freely admit it. The repair shops to concentrate your search are the ones that work on classic cars on a regular basis. If you happen to pass an auto repair shop on a regular basis and notice a nest of classic cars always parked in front this will usually be a good place to start your search. Remember you are the customer, so if in your search you run across a shop that you don’t get good feelings about or good feedback then move on. Another good source is to check with the local classic car clubs in your area, most of the club members can recommend good mechanics and repair shops. And no matter what area of the country you live in there are always classic auto shows during the Spring and Summer months. Walk around at these shows and ask the owners of the classic cars at these shows who they recommend for carburetor work. Another type of garage overlooked by classic car owners are repair shops that specialize in racing type applications for the local community. Many of the mechanics at these shops work several hours a week on carburetor type setups since most racing applications still involve carburetors. It’s the one area of the automotive community where fuel injection has not infiltrated. These shops are also good for building up your carburetor and engine for more performance if this is a desire. And many of these shops don’t mind working on a stock carburetor setups, just be sure to let them know that you want your carburetor and engine to remain at stock specs (no modifications) if you want to keep your classic car factory stock. Also very important in your search, is making sure that the mechanic or repair shop is knowledgeable in the type of carb you car has. For instance most GM cars back in the day used Rochester 2-bbl or 4-bbl carburetors, you may find an expert in Holley carburetors but this person is not very knowledgeable in Rochester carbs. There are many differences among the different brands and types of carburetors, so it’s best to be as specific as possible on what brand and type of carb you own. Another avenue of support is the small carb rebuilder shops that you can send your carburetor to, via the post office, UPS, FedEx, etc. The upside is these shops specialize in only one thing, working on carburetors. The easiest way to find one of these speciality shops is to spend some time on classic car or other related Internet forum boards. 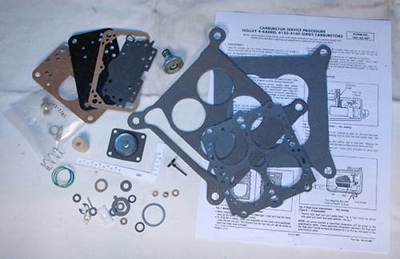 You’ll find out real quick who the good rebuilders are for the different types of carburetors. These type of small speciality shops do the best job in fixing and rebuilding carbs, and for those who want a restored carb back to factory original condition these shops are the best. They can even give your carb the original color and look as the factory (very important for those who want a carburetor for a factory original spec show car). And these shops will usually set your carb’s curb and fast idles to factory specs so that when you receive your carb back all you need to do is bolt it on top of your engine (no adjustments are necessary). The downside is that these shops are in high demand, which means your wait time may be anywhere from a few to several weeks (and in some cases months) before you get your repaired or rebuilt carburetor back. This will leave you during the waiting period with a classic car that you can’t drive. To get around this you may want to send in your carb just as winter is starting (if you store your classic car during the winter), that way you’ll have it before Spring arrives in most cases. Another option is having a spare exact or similar model spare carb. The plus to this is that finding a spare carb is easy in the era of the Internet – you can find one on a website or an online marketplace like Ebay. And if you get this spare carb rebuilt, you can pack it away safely on a shelf and use it when you send your primary carb in for a rebuild. Another thing to be aware of, is there is always the rare risk of sending that numbers matching carb for a rebuild and it getting lost or damaged in transit. It’s a rare risk to consider, especially if you own a high dollar collectable classic car, losing the original numbers matching carb can lower the overall value of the car. Before sending your carb to one of these type of shops, be sure to write down the serial number and any other unique numbers stamped on the body of your carb, in case your carb gets mixed up at the rebuilder or the wrong one is sent back to you. 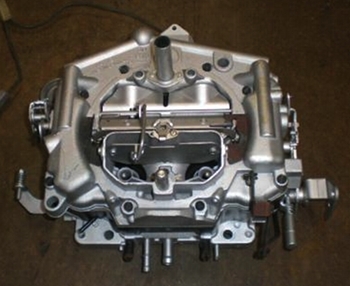 One option that some take, which is not recommended, is buying a remanufactured carburetor. A quick google search will have you reading plenty of horror stories of remanufactured carbs that buyers found to be lemons right out of the box – that never functioned properly. If you decide to go this route be sure to check on classic car and other related Internet forum boards on experiences with the particular carb remanufacturer company you are interested in. 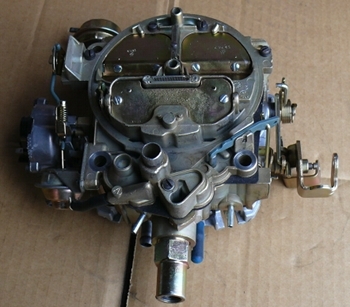 A remanufacturer carb company sells carbs (which are old carburetors that are undergo a remanufacture process) that in most cases are mass produced by cheap labor. You don’t know what kind of drilling and other mods these companies do to their carbs, whereas the smaller rebuild shops tend to employ craftsmen with years of experience rebuilding carbs to factory settings or modifying them to customers’ requested specifications. 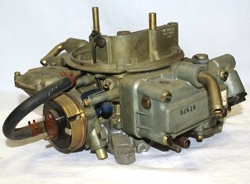 Some even decide to purchase a brand new carburetor from Holley, Edelbrock, etc. or another company that sells new aftermarket carburetors. This does have its advantages. First the carburetor is brand new and has a warranty. Second a lot of these carbs provide better performance than the original spec carbs found on many classic cars. And for the frustrated classic car owner, nothing is simpler than opening up a box, pulling out the new carb, and installing it with no adjustments or modifications needed. The downside is your classic car loses its originality and if you ever want to sell it, not having the original spec carb can cause your car’s resale value to drop. So if you decide to go this route take the original carb and pack it away somewhere safe (so that you can reinstall if you need to sell the car or enter it into a classic car show). Selling or giving away a matching numbers carburetor will be a mistake that you will soon live to regret. 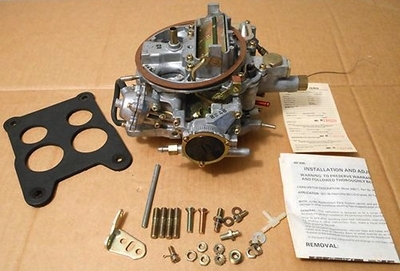 The best way to ensure that you don’t ever get stuck in a situation where you are scrambling to find someone to fix your carburetor when it acts up, is to learn how to maintain a carb yourself. Back when most cars on the road were carburetor equipped, many owners used to perform their own maintenance on them. It was not because people were smarter back then, it was due to necessity. Most teenagers and those in their 20s back in the 1950s, 1960s, and 1970s worked on carburetors because it was out of necessity. With not much disposable income, it was one way young people (mostly guys) who had plenty of spare time could keep their carbs running well without spending much money. A total carb rebuild could be done for the cost of the few bucks it took to purchase a rebuild kit at the local auto parts store. Talk to any classic car owner who came of age during this bygone era and many of them will tell you tinkering with carbs to keep their cars running is how they learned how to work on carbs. Working on a carb is not rocket science, if you have some mechanical ability you will become proficient after a little practice. Before you start your first rebuild, do the research and find out what the pitfalls and problem areas are on your type of carb, that way you’ll be prepared. There’s plenty of good resource material available on the Internet websites and on classic car related Internet forum boards where plenty of knowledgeable people are very willing to give you sound advice and point you in the right direction when you hit a brick wall or need some assistance. And there are many good how to work on carbs books (for different brands and types) on Amazon – the ratings by customers who have purchased these books will be a good indicator if they are good or not. Also the original manufacturer shop manuals are also great sources of information – lots of entities sell these on the Internet (and they can be found on Ebay). Remember unless you drill holes or do something to permanently alter a carburetor, you can’t go wrong by rebuilding your carb. Maybe it’s not a perfect rebuild the first time you try, you can always tear it down repeatedly until you get it right. Remember practice makes perfect. 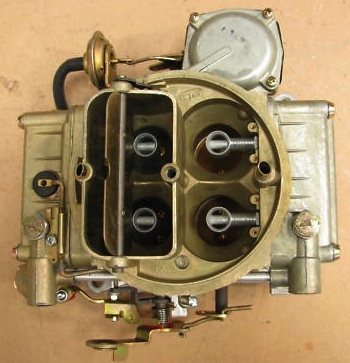 And if you want to play it safe, there are plenty of places like Ebay where you can pick up an inexpensive cheap carburetor in need of a rebuild (referred to as a core) of the type you want to rebuild – then if you happen to make a mistake it’s not on your numbers matching carb. Be very careful when tightening screws, bolts, fittings, etc. For instance on some carburetors over-tightening the fuel inlet (especially on Rochester Quadrajet 4-bbl carbs) can strip the threading causing serious damage (that may require a visit to a machine shop to fix or make your carb a very expensive paperweight). Many auto parts stores along with Internet sites carry rebuild kits for many brands and types of carbs. Ask other owners who have the same type or brand carbs on Internet forum boards where the best places are to purchase a carb rebuild kit. And since the carb is where fuel and air are mixed, be especially careful that no fuel is dripping from your carb after you repair or rebuild your carb – let your engine run at idle for awhile before taking it for a test drive. If you smell any fuel vapors or detect any fuel leaks shutoff your engine immediately and fix the problem area (it’s not a bad idea to have a fire extinguisher handy, which can be bought at any auto parts store). Also when inspecting or making adjustments to your carb while your engine is running, be sure to keep your hands and body away from the radiator fan. If during a test drive after installing or repairing your carb you smell fuel vapors coming from under your hood or see smoke – pull over immediately to the side of the road and shutoff your engine. Fuel dripping on a hot intake manifold can start an engine fire very quickly. As we have been all told, if you take care of your body, your body will take care of you. The same is true with your classic car’s carburetor. If you keep your carb in good running order, your classic car will give you many years of good reliable service.